Lok Sabha Elections 2019 HIGHLIGHTS: Congress and NCP announced seat-sharing pact in Maharashtra and parties agreed to contest 26 and 22 seats respectively. 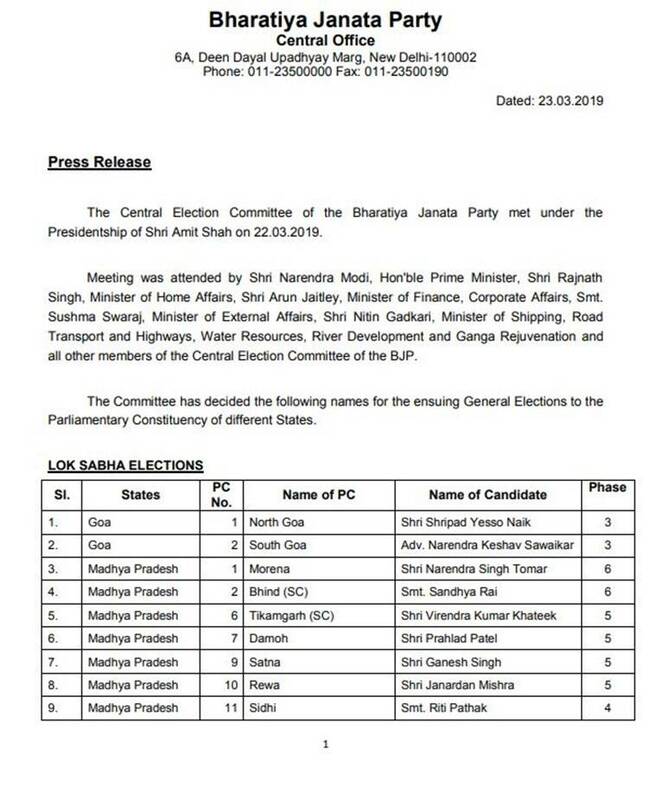 2019 Lok Sabha Elections HIGHLIGHTS: The Bhartiya Janata Party (BJP) Saturday evening announced its sixth list featuring 46 candidates, while earlier today the Congress and the NCP announced their seat-sharing pact in Maharashtra for the upcoming Lok Sabha elections. The two parties agreed to contest 26 and 22 seats respectively. As election campaigning gathers momentum with less than three weeks to go before the first phase of voting in the 2019 Lok Sabha elections, leaders pan India are canvassing their constituencies and raising the poll pitch. Elections for the 17th Lok Sabha will be held in seven phases, between April 11 and May 19. The results will be declared on May 23. Union Home Minister Rajnath Singh will address a rally in Delhi's northeast parliamentary constituency on Tuesday as part of the BJP's 'Vijay Sankalp' rallies. Amit Shah is set to launch a rally in Agra on Sunday and will hold rallies across the country till Tuesday. Rajnath Singh, Nitin Gadkari, Sushma Swaraj, Ravi Shankar Prasad, Piyush Goyal, J P Nadda, Dharmendra Pradhan, Nirmala Sitharaman, Smriti Irani and other party leaders are scheduled to address rallies on Sunday and Tuesday. Uttar Pradesh Chief Minister Yogi Adityanath will launch his campaign for the elections from Saharanpur on Sunday. Prior to addressing a rally, Adityanath would visit the Shakumbhari Devi temple in Saharanpur and offer prayers, said UP BJP spokesperson Chandramohan. Three former Uttarakhand BJP leaders have rejoined the party today, PTI reported. Suresh Chandra Jain, Asha Nautiyal and Sandip Gupta were expelled during the assembly election two years ago. Chief Minister Trivendra Singh Rawat welcomed them and expressed gratitude on their return. Jain is the former MLA from Roorkee, Nautiyal is a former MLA from Kedarnath and Gupta a former district president. Jain and Gupta had contested as Independents after being expelled from the party. Chief of Jammu and Kashmir National Panthers Party (JKNPP) Bhim Singh is set to contest the elections from Jammu parliamentary constituency which is going to polls in the first phase on April 11, PTI reported. JKNPP spokesperson said senior party leaders took a decision after much deliberation. Singh would file nomination papers on Monday, he said. The Election Commission said exit polls can only be telecast after the last phase of the elections is concluded, which is the evening of May 19 and issued an advisory stating which website and social media platforms would be included. "The Election Commission will monitor the broadcasts made by news broadcasters from the time elections are announced until the conclusion and announcement of election results. "Any violation by member broadcasters reported to the News Broadcasting Standards Authority (NBSA) by the Election Commission will be dealt with by the NBSA under its regulations," it said. The Bhartiya Janata Party (BJP) leaders, Prime Minister Narendra Modi, BJP national president Amit Shah and Uttar Pradesh Chief Minister Yogi Adityanath will be holding rallies in West Bengal during all seven phases of polling. Modi will address his first election rally in Kolkata's Brigade Parade ground on April 3, PTI quoted a senior state BJP leader as saying. Announcing its sixth list, Nadda said Union Minister Jayant Sinha will contest from Hazaribagh, while Sumalatha will fight as the independent candidate from Mandya, Karnataka. BJP Senior leader J P Nadda said as Uma Bharti does not wish to contest the upcoming elections, she will be appointed as party's national vice-president. Bharti stated her reason to not contest polls as she would want to pay attention to her organisation. 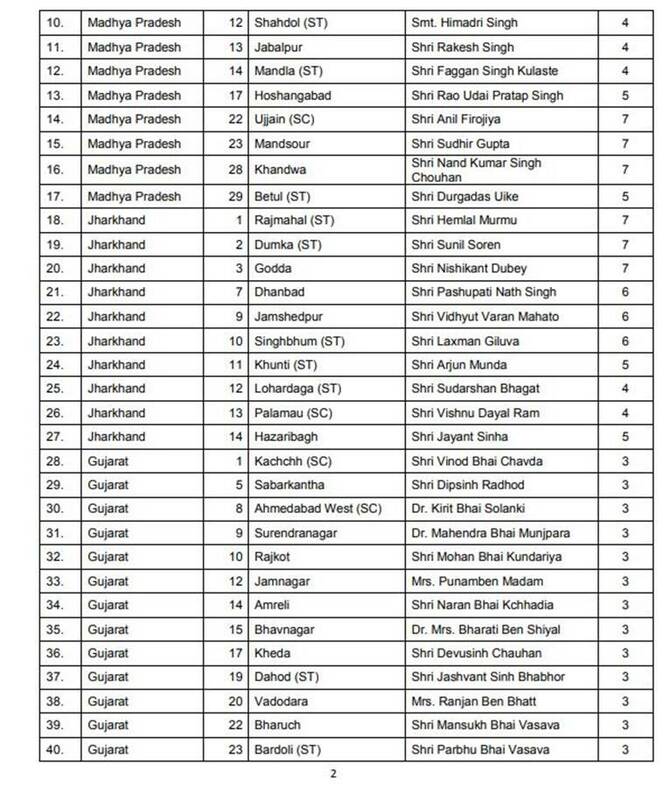 Nadda announced the sixth list featuring 46 candidates. As Monday is the last date for filing nominations in Uttarakhand, anticipations are high with Congress yet to announce its candidates for the five seats in the state which is going to polls on April 11. 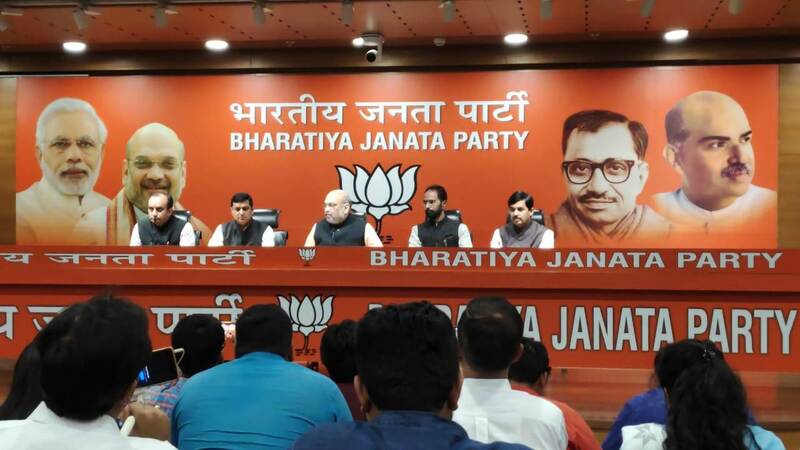 Meanwhile, the BJP has already announced its candidates for the five seats in the state on Thursday, of whom two from pauri have filed their nominations. Senior BJP leader J P Nadda will address a press conference today at 8 pm in BJP Headquarters, Delhi to announce its list of candidates for the upcoming Lok Sabha elections, 2019. Actor and Ahmedabad East Lok Sabha MP Paresh Rawal will not contest the general election, Gujarat state BJP chief Jitu Vaghani said Saturday. "Paresh Rawal ji has conveyed to the party that h will not contest the elections. In the last five years despite being very busy as an actor, he has given time for his constituency. He will continue to work for the party," PTI quoted Vaghani as saying. The Election Commission Saturday released the final voters' list in Andhra Pradesh which showed deletion of about 1.41 lakh names, PTI reported. According to the list released by the state Chief Electoral Officer Gopal Krishna Dwivedi, as of March 22, the total number of electorate was 3,91,81,399 comprising 1,93,82,068 male, 1,97,95,423, women and 3,908 transgenders. A total of 1,41,822 names of voters were deleted from the electoral rolls between January 11 and March 21, the CEO said in a statement. PDP chief and former Jammu and Kashmir chief minister Mehbooba Mufti will contest the Lok Sabha election from Anantnag seat, PTI reported. The party would not field nominees from Udhampur, Jammu constituencies. Mufti announced Aga Mohsin will be a party candidate for Srinagar seat. "The opposition front is not functioning as it should have but we have taken a unilateral decision to not field candidates from these seats so that the secular vote does not get divided," PTI quoted Mufti as saying. Congress today accused newly-appointed Goa Chief Minister Pramod Sawant of violating Election Commission's Model Code of Conduct by appointing deputy chief ministers, PTI reported. In relation to this, State Congress leader Trajano D'Mello submitted a complaint to the EC. The state government had issued an order on March 20 appointing Maharashtrawadi Gomantak Party's Sudin Dhavalikar and Goa Forward Party's Vijai Sardesai as deputy chief ministers. Union Minister Ravi Shankar Prasad today claimed Congress chief Rahul Gandhi had no ostensible source of income and cited a rise in Gandhi's income between 2004 and 2014 to question its source. "In his election affidavit in 2004, his income was Rs 55,38,123 while in 2009, it rose to Rs 2 crore and in 2014 it rose to Rs 9 crore. We know how much an MP earns. We want to ask what is this Rahul Gandhi model of development without an ostensible source of income," Prasad said while addressing the media. He further questioned whether Gandhi had bought two properties from Unitech which was linked to the 2G spectrum allocation scam. Chief Minister Arvind Kejriwal today claimed that he was denied permission to conduct a rally in Sant Nagar Chowk in Delhi by the police at the behest of the BJP. However, the Delhi Police reasoned that the place of the meeting witnesses heavy traffic and there's large footfall during weekends. They further said that an alternative venue was proposed to the party, which was 150 metres away from the proposed site. "BJP gets my public rally cancelled today thro police. Police denies permission. How many BJP rallies were denied permission by police in Delhi in last 5 yrs? (sic)" Kejriwal said in a tweet. Former IAS officer Shah Faesal on Saturday said his recently formed party, Jammu and Kashmir Peoples Movement (JKPM), will not contest the upcoming Lok Sabha polls, but asked the people to vote in large numbers for electing the "right candidates". "We have had several meetings of the core group of our party over the past few days and we have decided that we will not contest the Lok Sabha elections this time," Faesal told reporters here. The former IAS officer said the main reason for not contesting the polls was to focus more on the mass contact programme. "The unanimous view was that we are a party still in the stages of infancy and that we should also focus on mass contact programme. This was also our response to those elements who were accusing us of being stooges of the Centre for dividing votes in the current elections," he said. Former prime minister HD Deve Gowda will contest from the Tumkur parliamentary constituency as the combined candidate of JDS & Congress, said JD(S) Spokesperson Ramesh Babu. Gowda will file his nomination on March 25, JD(S) spokesperson said and added that Congress leaders will be present on the occasion. Gowda gave up the Hassan seat that he had been representing to his grandson Prajwal Revanna. The announcement comes on a day when Congress' sitting Member of Parliament from Tumkur S P Muddahanumegowda Saturday said he would file his nomination on Monday as the party candidate. 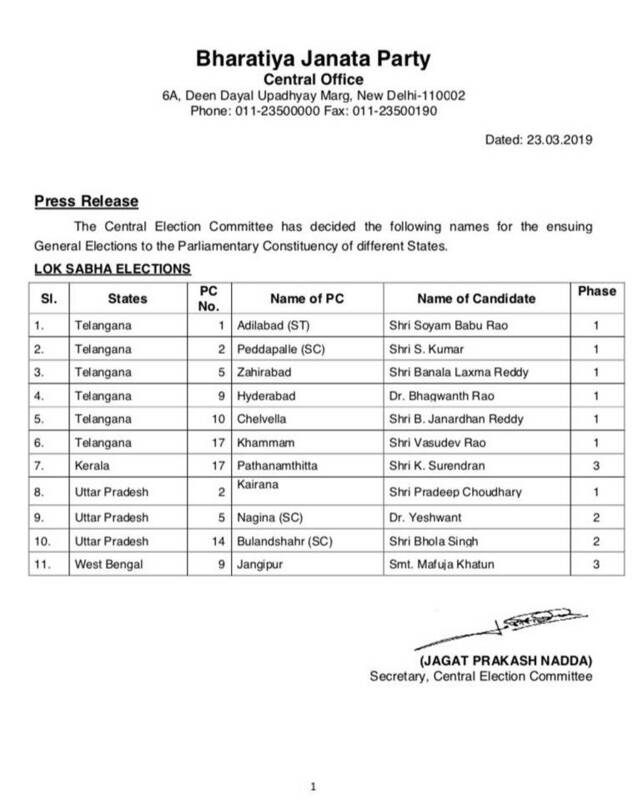 BJP releases list of 11 candidates (6 Telangana, 3 Uttar Pradesh and 1 each for Kerala and West Bengal) for the upcoming Lok Sabha elections. Senior Congress leader Kapil Sibal Friday continued the verbal battle over 'chowkidaar' (watchman) and hit out at Modi stating, Modi does not reveal the data of the Mudra scheme, nor does he let the labour bureau report come out and protects the NCRB report like a 'chowkidaar'. "The government could not protect the women in the country and crime against women has risen to 2.9 per cent," Sibal said while addressing a presser in Delhi. Sibal took pot shots at the government over the Pulwama attack and raised questions over the source of gunpowder that was used in the blast. "A traitor is one who could not protect his armed forces," said Sibal. Criticising the introduction of demonetisation, Sibal stated the process took money away from the poor and the gross domestic product (GDP) lowered by 2 per cent. "One who robs people, could not become a 'chowkidar'," said Sibal. Tamil Nadu farmers are gearing up for an electoral battle and will file 111 nominations from the Varanasi Lok Sabha constituency from where Prime Minister Narendra Modi is contesting. Tamil Nadu farmers leader P Ayyakannu said Saturday that 111 farmers from the State will contest against Modi from Varanasi. 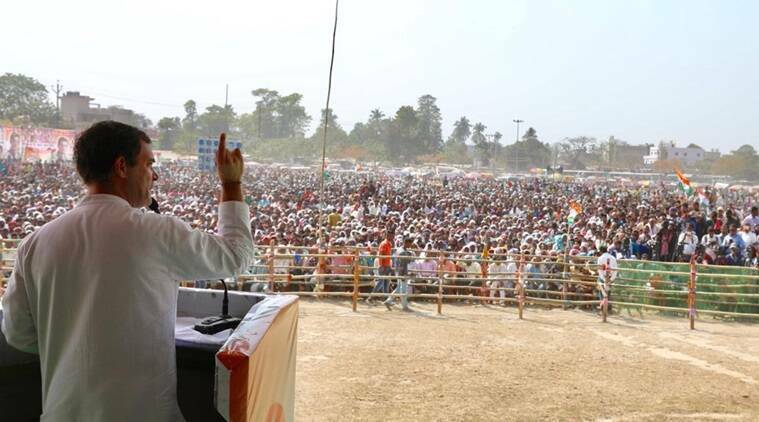 Rahul Gandhi promises to change GST, build govt schools and hospitals. "As soon as Congress is elected to power, we will change GST, and introduce a minimum and simpler tax. Whatever government posts lie vacant, Congress will fill them up. We will build government schools and hospitals in Bengal so that you can treat yourself and your family at a minimum price," Gandhi says. Gandhi said the party has decided to introduce a minimum income guarantee line which would put a certain amount directly in people's account. "We will fight poverty through minimum income guarantee," Gandhi says. Gandhi promises to erect factories across the state. Gandhi hits out at Modi government and criticises issues like demonetisation, unemployment of youth, farm loan waiver and Good and Services Tax (GST). "Nothing is done for the youth or the farmers. Unemployment is on the rise. In 5 years rule, PM Modi created unemployment that wasn't prevalent in the last 45 years," the Congress chief said. Gandhi brings up the Rafale aircraft issue and says, "UPA govt had decided to purchase 126 airplanes, Modi became the PM, travelled to France with Anil Ambani and changed the Rafale contract putting Rs 30,000 crore in Ambani's pocket." Gandhi further hits on the state's development and questions if Chief Minister Mamata Banerjee or Modi provided people with employment in the state. "You can't deceive and work in Bengal," Gandhi says. Rahul Gandhi addresses a rally in Malda, West Bengal: "We bring all religions together and talk about brotherhood, while the BJP spreads hatred among people in forms of language and religion. gandhi alleged Narendra Modi in his speech blatantly lies. Reiterating the fight over 'chowkidaar' (watchman), Gandhi said, "In 2014, Chowkidaar (Modi) said, I don't want to a PM, I want to become a 'chowkidar'. After getting caught on his lies, he says we all are 'chowkidaar'. The poor do not employ a 'chowkidaars', only the rich do. 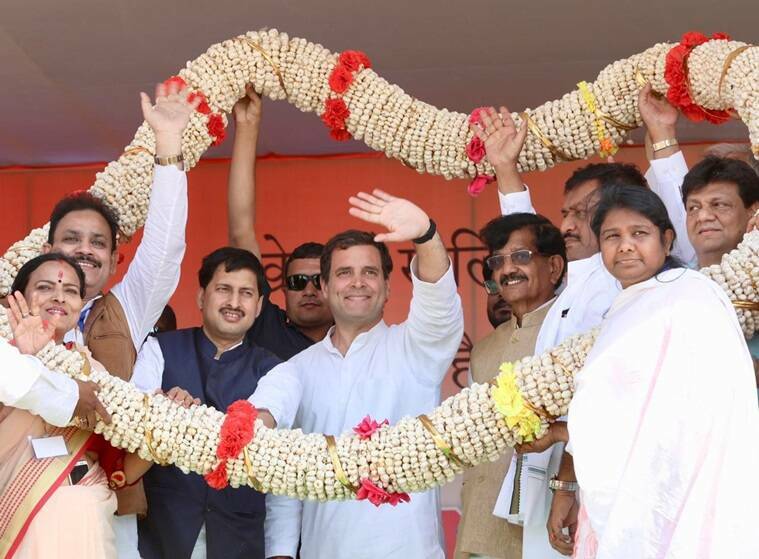 The Congress in Kerala Saturday proposed Rahul Gandhi's name for the Wayanad Lok Sabha seat, although Gandhi has yet to respond to the request, PTI quoted senior leaders as saying. AICC General Secretary Oommen Chandy said there is a demand from party leaders that Gandhi should contest from any South Indian Lok Sabha seat and "we have requested Gandhi to contest from Wayanad seat," PTI reported. The party, which is contesting 16 out of 20 Lok Sabha seats in Kerala, has announced names of 14 candidates but has not declared its candidates from Wayanad and Vadakara. The youth in India are unemployed. Modi had promised to employ youngsters but he has not fulfilled his promise. In every speech, Narendra Modi says he will help farmers, but the truth is he waived off Rs 3,50,000Cr worth loans of a handful of industrialists. We promised to waive off farm loans in MP, Rajasthan, Chhattisgarh, and we fulfilled it. We will be defining a 'mininum income line' and anyone, young or old, who is below that line will receive minimum income guarantee directly into their bank accounts: Congress President Rahul Gandhi. 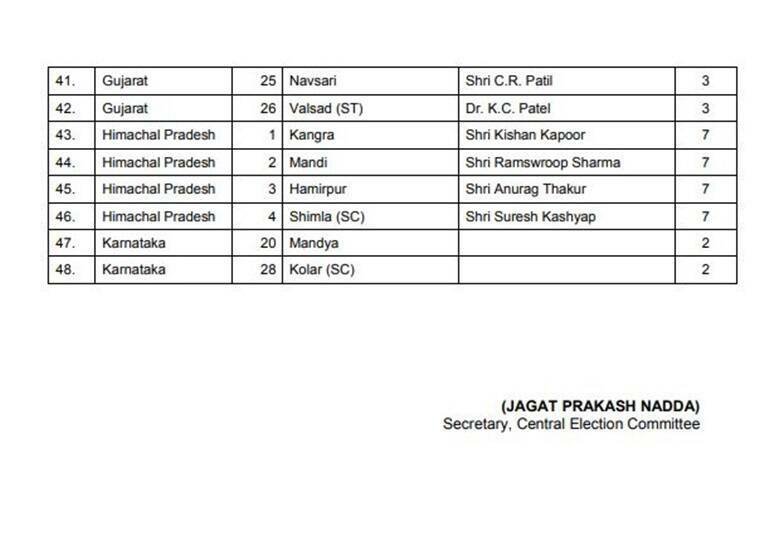 Congress names veteran leader Digvijay Singh as their Lok Sabha candidate from Bhopal. Amit Shah reacts to Sam Pitroda's questions on Balakot strike, he said that BJP has adopted a zero tolerance policy towards terrorism. He said, "After BJP formed government at the centre, India has adopted a zero tolerance policy towards terrorism. During the UPA regime, many bombings happened across the country and your policy was negotiations and what was the result?" India is looking at impending Lok Sabha elections and the issue of nation's security has become an important issue for the electorate of the country. In these times such statement from Congress ministers is very unfortunate: BJP chief Amit Shah on Sam Pitroda's comments yesterday. 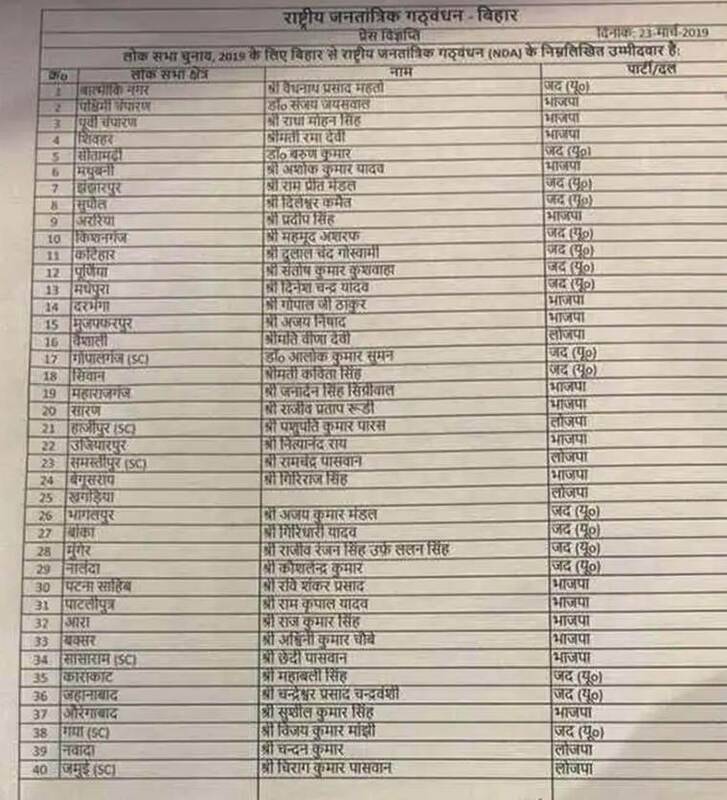 BJP in-charge for Bihar, Bhupendra Yadav: Ramkirpal Yadav to contest from Patliputra, RK Singh from Arrah, Aswani Choubey from Buxar, Radha Mohan Singh from East Champaran. The BJP released its second and third list of Candidates late Friday night. BJP National Spokesperson Samit Patra will contest from Puri. The Congress also released its 7th list which said UP Congress Chief Raj Babbar has moved to Fatehpur Sikri from Moradabad to contest for the upcoming Lok Sabha elections. Meanwhile, the RJD-Congress combine yesterday had announced their seat-sharing arrangement in Bihar, with RJD contesting from 20 seats and Congress from nine. Rashtriya Lok Samta Party (RLSP) and Mukesh Sahni's Vikassheel Insan Party (VIP) will field their candidates in five and three seats, respectively.